In zip-top bag, combine oil, oregano, basil, thyme, onion, garlic powder, salt and pepper. Seal bag and shake to combine. Place pork chops in bag, seal and massage in marinade. Marinate pork chops in refrigerator for 30 minutes prior to cooking. Meanwhile, in large bowl, mix together cooked orzo, olives, artichoke hearts, roasted red peppers, cucumber and dressing. Toss to combine. Cover and place in refrigerator. Remove pork chops and place on preheated grill. Grill for 4 minutes or until internal temperature of 145°F is reached. 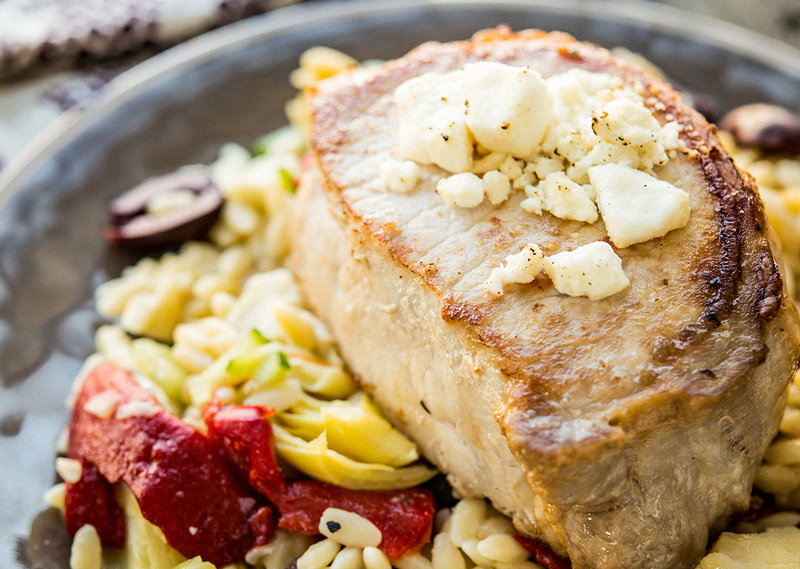 Carefully remove upper grill plate and top each pork chop with crumbled feta. Cook on HIGH Broil for 2 to 3 minutes, or until cheese is softened. Remove pork chops and allow to rest for 5 to 10 minutes before slicing. 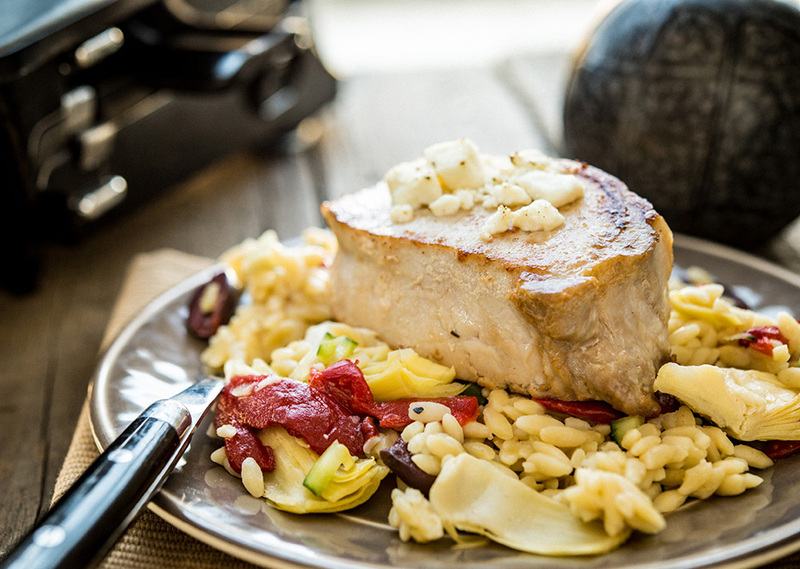 Tip: Spoon pasta salad on to four plates and top each with pork chop.